PIPELINE RESTRAINER – FERRETERRO INDIA PVT. LTD. 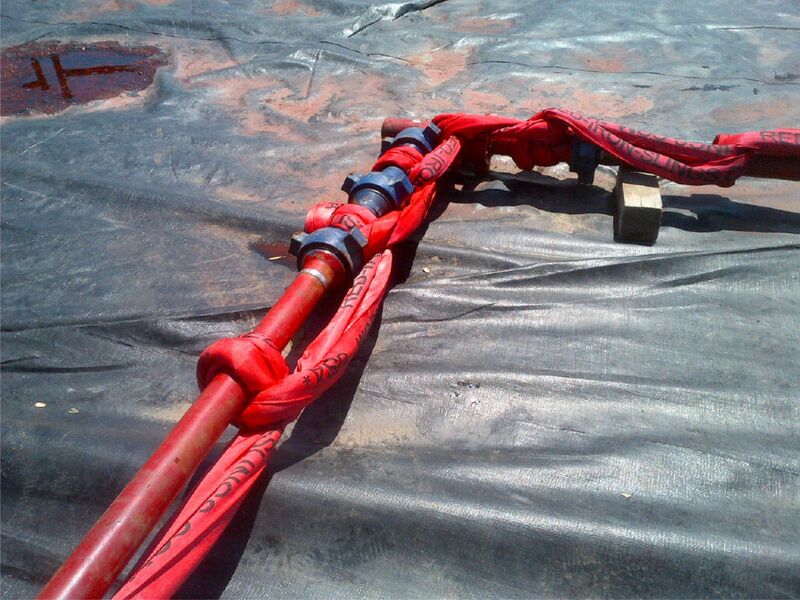 Temporary Pipe Restraint (TPR) system is used on high pressure temporary flowlines. Properly applied, this system will provide an additional level of protection for personnel and physical assets by minimizing the amount of sudden movement in the event of an iron failure. The TPR system comes in two models: Standard and Premium. TPR. TPRsystem can be untied anywhere along the flowline and quickly re-installed after a leaking connection is addressed. This allows the operator to resume operations faster and negates the need to completely dismantle the system to correct a problem. systems, increases safety at the job site. inspected before and after each job. The construction and materials used in the Premium system are such that they outlast and have better chemical resistance than any competitive offering. The TPR system should never be considered as a substitute for due diligence with respect to proper selection of pressure containing equipment and execution of a regular inspection and maintenance program. The TPR system can significantly reduce, but never eliminate, damage in cases of flowline separation under pressure.